LESSON FOUR: What is Beauty? In this lesson we will explore the concept of beauty and what it means to be beautiful. We will look at other people's and the media's ideas about beauty and then develop our own definition. The videos below will help stimulate your thinking. 3) Embedded your Voki on the BEAUTY page that you have created on your website. 1) Watch the videos below and make a vocabulary list (download worksheet) of positive and negative words the media uses about beauty. 2) Look at a range of advertising both online and in magazines and identify words that advertisers use to make women / girls feel inadequate. Add these words to the vocabulary list. (This will be used in Lesson 5). 2) Go to VOKI and create an avatar that gives your definition of what beauty is. 3) Embed your avatar into a BEAUTY page on your website. 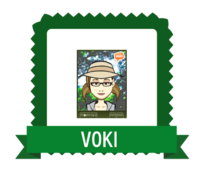 4) Claim your Voki badge and submit your Power of Words Worksheet in Seqta. NOTE. Keep the worksheet as this will be used in the next lesson where you create two word clouds about beauty-related words.